Mr Joseph Aderinto is a consultant orthopaedic surgeon who specialises in the surgical treatment of painful conditions of the Hip and Knee. After completing pre-clinical training at St Andrew's University Medical School, Mr Joseph Aderinto qualified from Manchester University Medical School in 1995. After spending a year practicing as a junior doctor at Manchester Royal infirmary he moved to London where he undertook basic surgical training. He became a member of the Royal College of Surgeons in London in 1998. He worked at the Royal National Orthopaedic Hospital Stanmore, and later undertook research into methods of stimulating bone growth from stem cells at the Centre for Biomedical Engineering and Institute of Orthopaedics in Stanmore. This culminated in MSc and MD degrees awarded by University College London. Joseph undertook Specialist Registrar training in Trauma and Orthopaedics in Edinburgh. In 2006 he became a fellow of the Royal college of Surgeons and a year later he travelled to Canada and undertook specialist fellowship training under Dr Allan Gross in Mount Sinai Hospital Toronto. During this time he gained experience in revision (redo) hip and knee replacement surgery and the treatment of infected joint replacements. He returned to Edinburgh and completed a fellowship in knee replacement and soft tissue knee injury under Mr John Keating and Mr Richard Nutton. 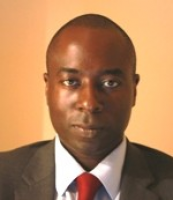 Mr Aderinto was appointed as a Consultant Trauma and Orthopaedic surgeon at Leeds Teaching Hospitals NHS Trust in 2009. He has an interest in the treatment of painful conditions of the hip and knee joints and has specialist expertise in Hip and knee replacement surgery. He also undertakes orthopaedic trauma surgery at Leeds General Infirmary where he is the Lead Clinician for orthopaedic general trauma. He is actively involved in the design of the clinical pathway for treatment of patients in who have sustained hip fractures. He has published several orthopaedic articles and book chapters and his research work has been presented at national and international meetings. He also leads the clinical teaching programme for Leeds university medical students undertaking orthopaedics in Leeds in their final year of training. He is co founder of Jorleeds Medical, a company that specialises in developing IT solutions for the medical sector. Mr Joseph Aderinto was born and raised in Glasgow. He is a keen runner, a sport he has enjoyed since childhood. He is also an avid Formula 1 fan. He lives in Leeds with his wife and 3 children. Pipkin Type-III fractures of the femoral head: Fix it or replace it? Tosounidis T, Aderinto J, Giannoudis PV. Achieving hip fracture surgery within 36 hours: an investigation of risk factors to surgical delay and recommendations for practice. Aqil A, Hossain F, Sheikh H, Aderinto J, Whitwell G, Kapoor H.
J Orthop Traumatol. 2015 Nov 26. Jain S, Aderinto J, Bobak P.
Acta Orthop Belg. 2013 Apr;79(2):135-40. Functional results and complications following conversion of hip fusion to total hip replacement. Aderinto J, Lulu OB, Backstein DJ, Safir O, Gross AE. J Bone Joint Surg Br. 2012 Nov;94(11 Suppl A):36-41. Fixation of intracapsular fractures of the femoral neck in young patients: risk factors for failure. Duckworth AD, Bennet SJ, Aderinto J, Keating JF. Nuffield Health Leeds Hospital - 0113 388 2000.